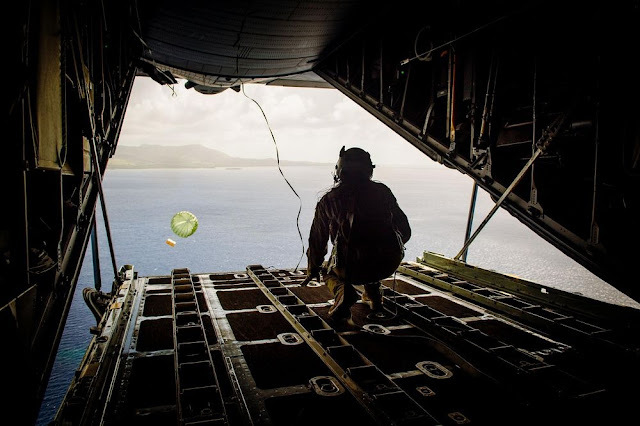 Operation Christmas Drop has its roots to the Christmas of 1952, when the crew of an Air Force B-29 aircraft, flying a mission to the south of Guam, saw some of the islanders waving at them. 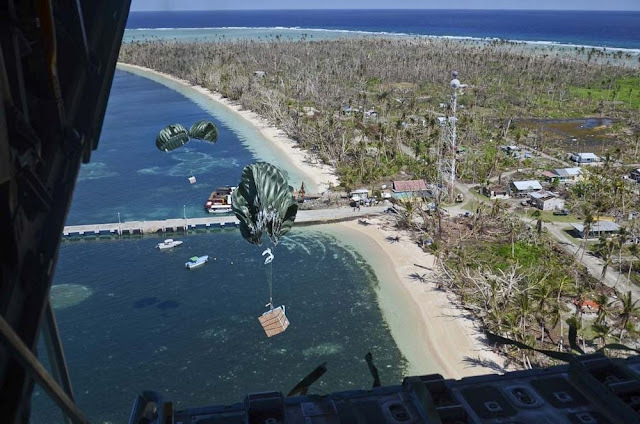 In the spirit of the season, the crew gathered some items they had on the plane, placed them in a container, attached a parachute and dropped the bundle to the islanders below. 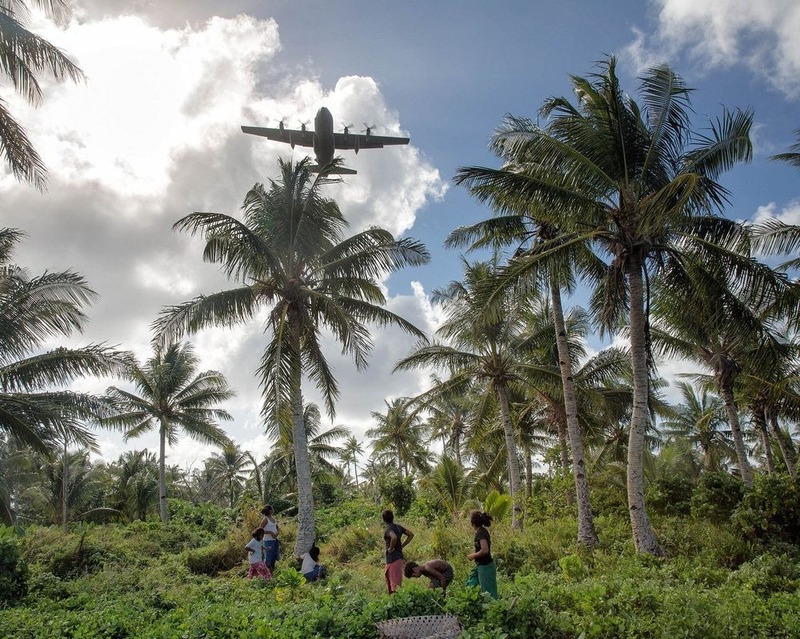 A witness to the first drop on the island recalls, "We saw these things come out of the back of the airplane and I was yelling: 'There are toys coming down'". 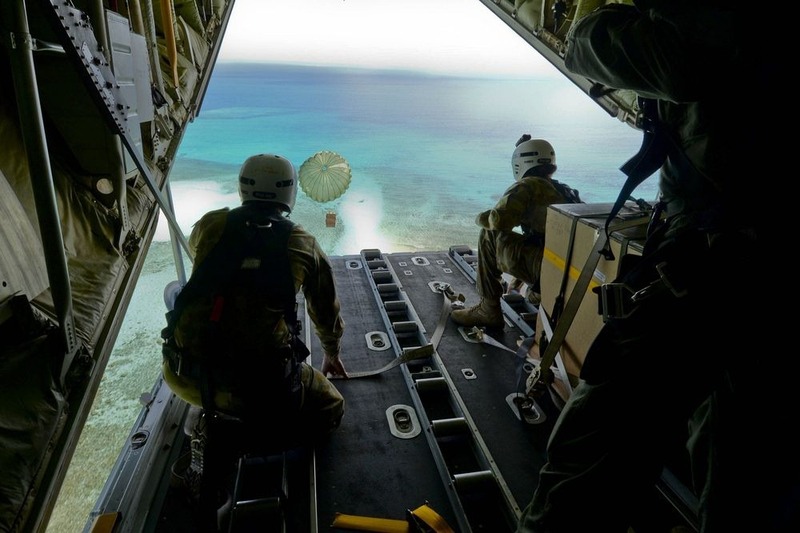 The effort grew from there into a major annual training exercise. All the gifts are donated by residents, civic organizations, military personnel and businesses of Guam, which are collected by private organization and the US Air Force, and then sorted and packed into boxes. 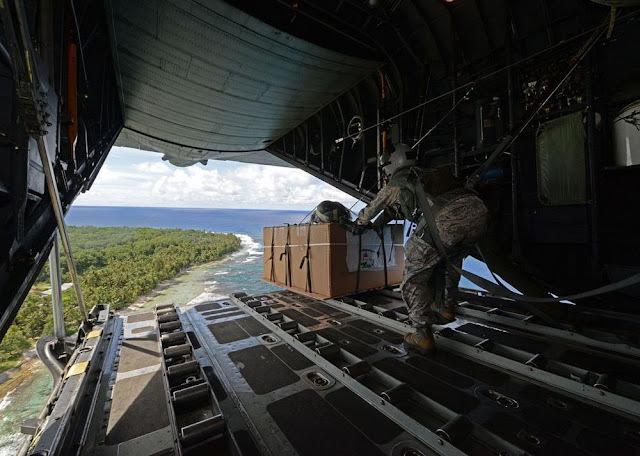 The items sent to the Micronesian include fishing nets, construction materials, powdered milk, canned goods, rice, coolers, clothing, shoes, toys, school supplies and so on. The Air Force uses old parachutes that have outlived their military usefulness, but are still strong enough to support bundles weighing up to 500 pounds. 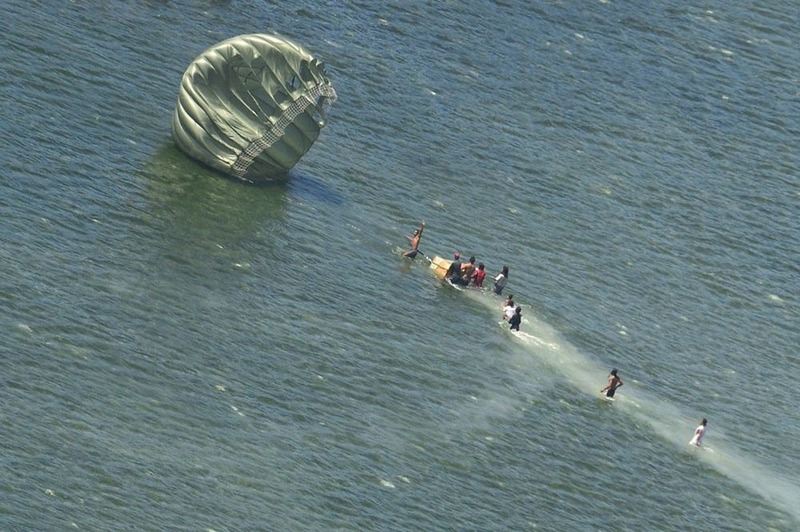 The parachute is said to be the most important item on the bundle. 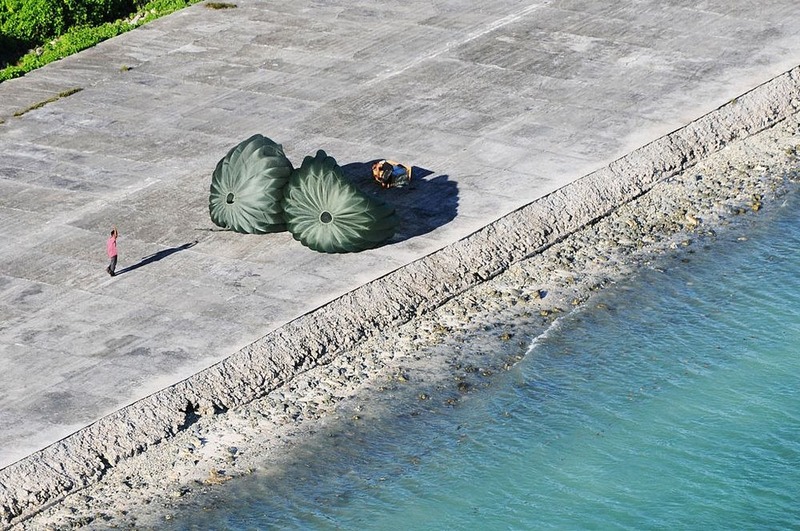 Islanders use it for a variety of applications, from roofing their houses to covering their canoes. 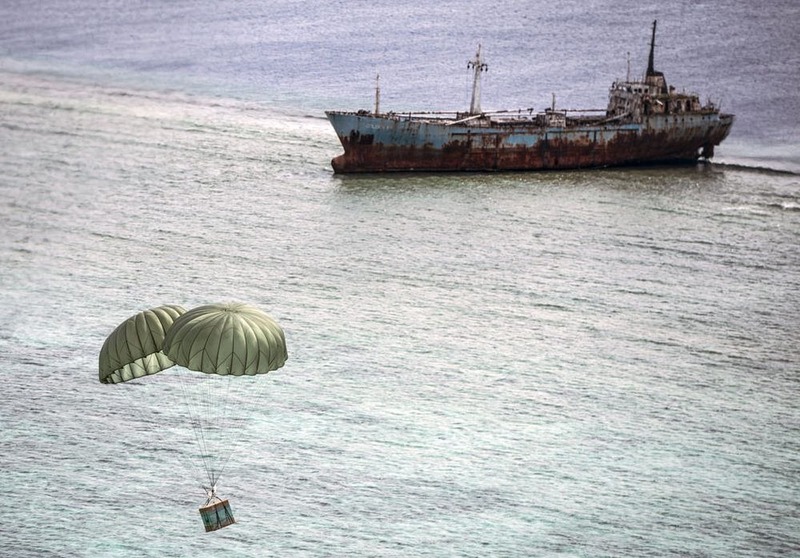 Some of these islands are so remote that they receive supplies from passing ships only once or twice per year. 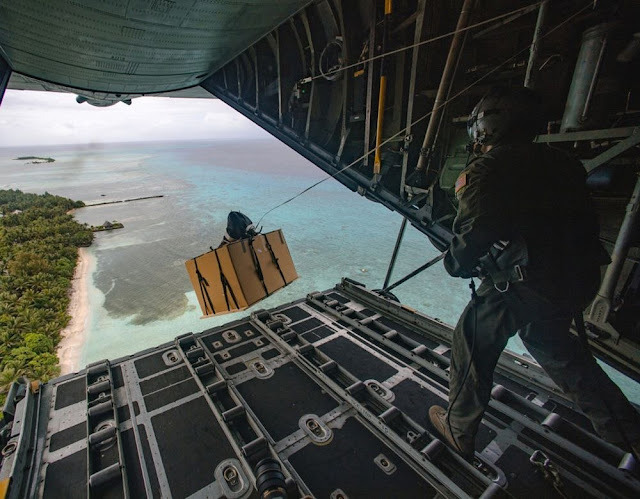 “Christmas Drop is the most important day of the year for these people," said Bruce Best, a communications specialist at the University of Guam who has been volunteering his time to help Operation Christmas Drop for the last 34 year. 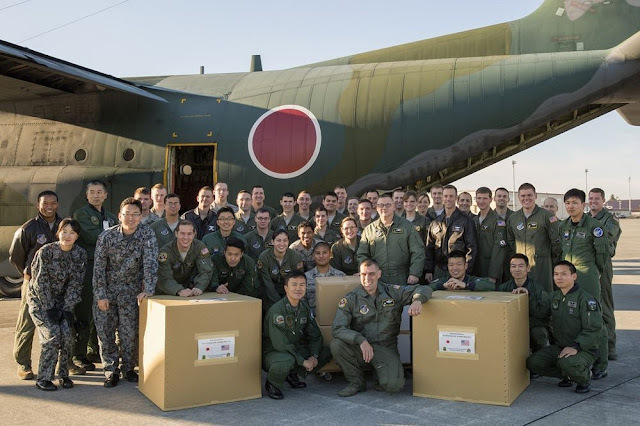 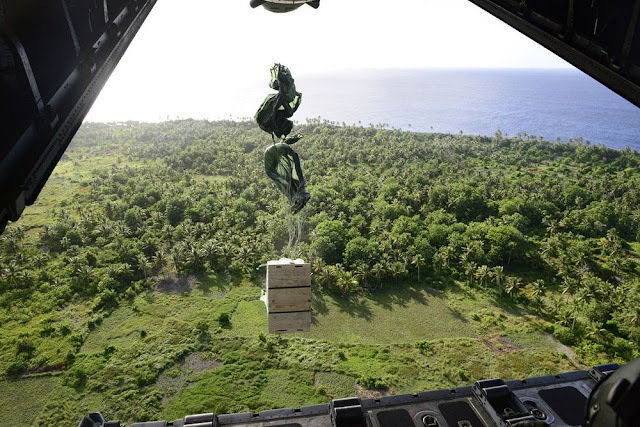 In recent years, the US Air Force has received assistance from members of the Royal Australian Air Force and Japan Air Self-Defense Force in the collection and distribution of the Christmas Drop crates. 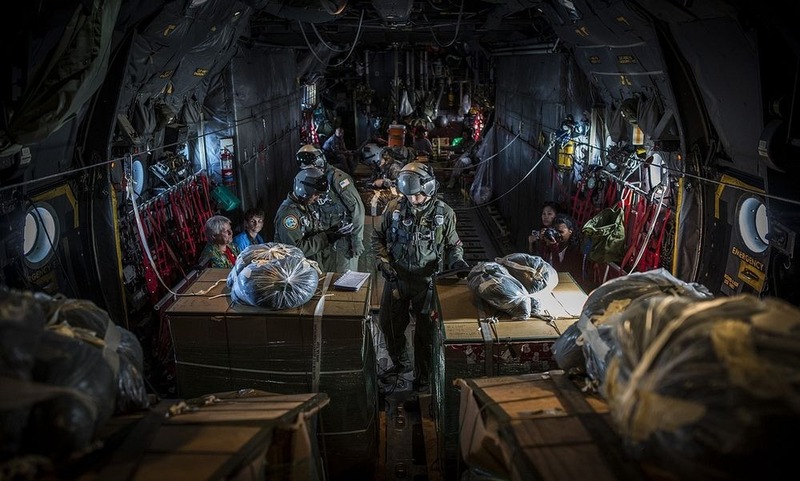 According to organizational data, by 2006, the Christmas drop operations have delivered more than 800,000 pounds of supplies.